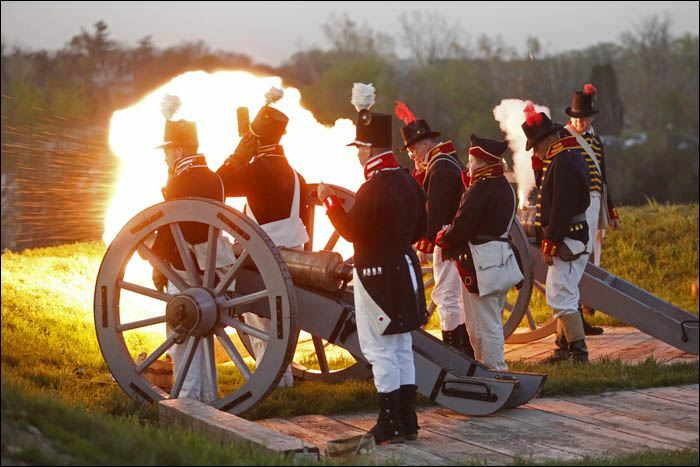 Artillery fire from 200 years before came to life today friday through flash pots and round charges at Fort Meigs in Perrysburg. The reenactment on both sides of the Maumee River, including a few artillery in the fort. It was the first of several events that commemorate the 200th anniversary of the First Siege of Fort Meigs by recreating military camps and tactical demonstrations from 1813.